The introduction of more choice into the retirement mortgage industry will be seen as a welcome development by millions of people in the UK who are concerned about their financial security in later life – none more so than credit-worthy pensioners stuck with interest-only debts that they can’t pay off. Those who would like to provide an ‘early inheritance windfall’ to children or grandchildren, without using their savings or pension provision, will also see welcome changes. New mortgage scheme are emerging that are designed for people who have pension income for life – and are happy to have a monthly payment in exchange for releasing some equity – with lenders recognising the need for greater flexibility in how property equity can be used in later life. Earlier this year the regulators relaxed the rules that had stopped borrowers from getting an interest-only mortgage if they planned to use their property to repay it when they died or sold the property to move into cared accommodation, which has led to new lending options. Aldermore, a new lender in the marketplace, has a deal that allows retirees to remortgage their interest-only loan when it comes to an end, using the eventual sale of their property as a means to repay the debt – the product is available to borrowers between 55 and 85 but the term must end by the time they are 99. In order to qualify, borrowers must have a minimum of 40 per cent equity in their property and can choose from a range of two, three, five and 10-year fixed rate deals and a variable rate option. A two-year fix on interest-only starts at 3.38 per cent with a maximum loan size of £400,000 and a maximum loan-to-value of 60 per cent. A 10-year fix isn’t that much more at 3.98 per cent while the variable rate starts at 4.18 per cent. All deals come with a £999 fee. Those looking to move onto a capital repayment mortgage can borrow up to 75 per cent LTV with the lender. 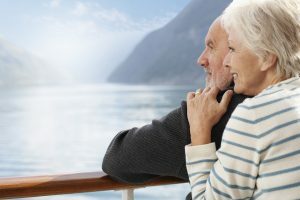 The Post Office has also unveiled the market’s first retirement interest-only mortgage, suitable for borrowers taking a new mortgage, but not those looking to remortgage an existing interest-only loan, which will have a broader appeal and is the first sign of the radical shake-up the retirement mortgage sector is about to witness. Here at The Financial Planning Group, we pride ourselves on being to offer our clients mortgage products from the whole market, which opens up so many more options and offers – we have 25 years experience in helping families and are based in the heart of Teddington.